American Airlines has announced it will introduce a new Premium Economy class on its international widebody fleet in late 2016. The new Premium Economy cabins will offer a new class of service directly behind Business Class, providing an enhanced product offering compared to its Main Cabin and Main Cabin Extra seating. 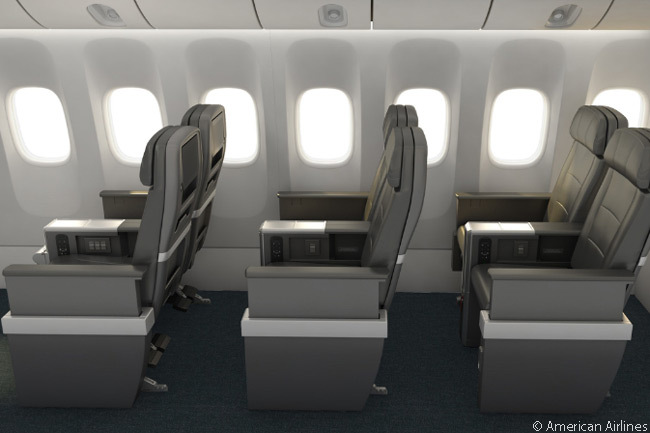 American’s international Premium Economy class will offer a new type of seat offering more legroom (including a 38-inch seat pitch) than in its Main cabin economy-class seats, wider seats, personal on-demand entertainment and noise-reducing headphones. 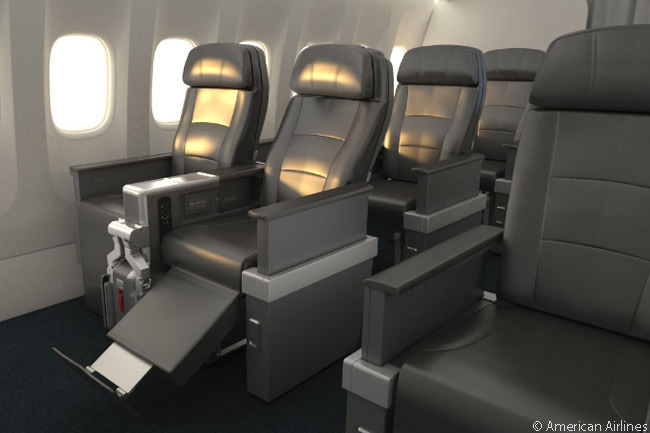 Passengers in American’s new Premium Economy cabins will also be offered priority check-in and boarding, a two checked-bag allowance at no extra cost, amenity kits, enhanced meal service compared with Main Cabin service, and complimentary spirits, beer and wine. “Our customers tell us they want a class of service between Business Class and Main Cabin, and this feedback provided the genesis for our new Premium Economy service,” says Andrew Nocella, American’s chief marketing officer. American’s first aircraft with Premium Economy seating will be its Boeing 787-9s, the first of which American expects to enter service in late 2016. Each American Airlines 787-9 will offer Business Class; three rows of Premium Economy in a 2-3-2 configuration; Main Cabin Extra, which offers customers up to six inches of additional leg room cmpared to Main Cabin seats; and ordinary Main Cabin seating. American will also install Premium Economy cabins in its new Airbus A350-900s, the first of which it is due to receive in 2017. The carrier will also add Premium Economy cabins to all its Boeing 777-300ERs, 777-200ERs, 787-8s and Airbus A330s over the next three years. The 777-300ER will feature First Class, Business Class, Premium Economy, Main Cabin Extra and Main Cabin seating options for customers. All other retrofitted aircraft will continue to offer direct-aisle-access, lie-flat seats in Business Class, as well as Main Cabin Extra and Main Cabin seats. 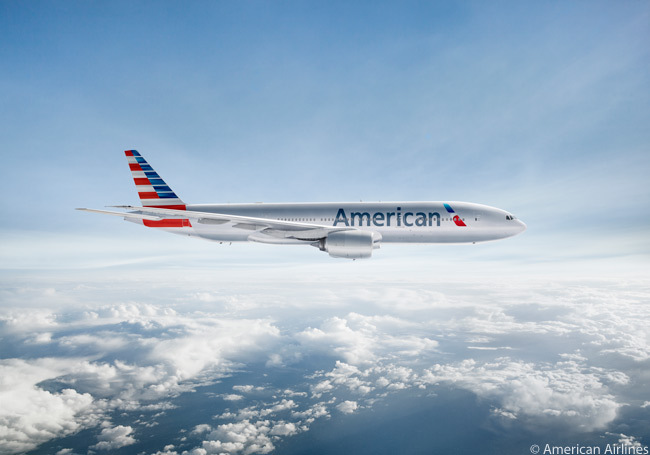 However, American says it will not retrofit its Boeing 767-300ERs with Premium Economy seating, because it plans to retire those aircraft in the next few years. For more information, visit aa.com/premiumeconomy. For an interactive look at the new premium economy product, visit explorethenewamerican.com/premiumeconomy.